So much yarn, so little time. 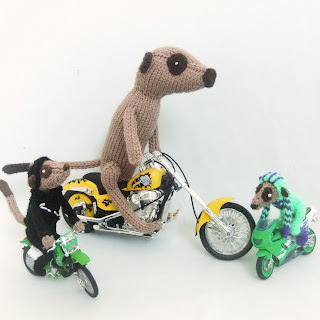 : Meerkat Biker Leathers Design Assistance Please! Now here's a question you don't get asked every day! I'm ready to start on the costume for the rider of my biiiiiiig motorbike, and would welcome your thoughts. 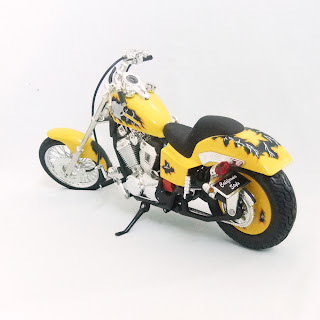 I've bought some yarn that's a very good match for the yellow of the bike, and I have black (and silver) for the detailing. It is a fabulous bike and I want to do it justice - so what do you think would really set the meerkat rider off? I'm toying with the idea of a lady rider, I could give her some falsies under her suit! 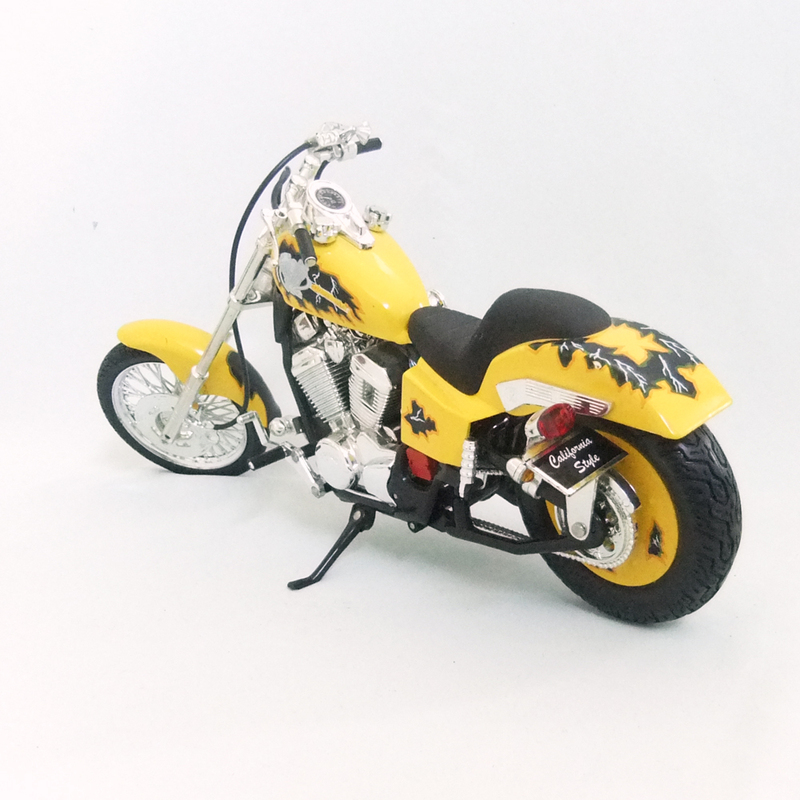 The bike is marked Honda California Style, American Drag (if that helps!) and as you can see is way bigger than my others and is seating my 11" tall Meerkat in the photo - although I may redesign the kat too, I think the body could do with being slimmer and shorter - what do you think? If anyone comes up with the final design for the leathers I'll credit you in the listing as my designer! If it's left to me it'll be mostly yellow with black and/or silver go-faster stripes I think. Maybe a black/silver storm cloud with lightning on the back - I *think* that is what I can see on the bike. A black leather vest, mom tattoo, and buttless black chaps. hmmm - buttless would be easy to knit...! Whoops. i thought my first comment didn't show! hahaha. kind of like people who wear pantyliners and see through pants..